The ever popular Connex 3300 HP 10 meter radio now with blue LED channel display! 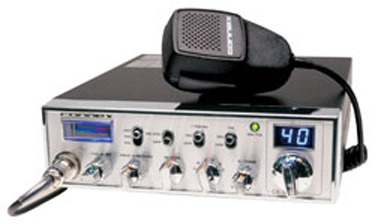 Updated with a front mounted microphone jack and blue LED channel display the Connex remains to be one of the most popular radios on the road. Quality and reliability. Operating Temperature -30 �C to +50 �C. Size 2-3/8� (H) x 7-7/8� (W) x 9-1/4� (D). AM Peak Power 40 Watts. � -watt of audio output.